What makes a story play in the cinema? What should you leave in? What should you take out? And what should you simply reinvent for the screen? This title is suitable for those who have ever read a story and seen the movie in their head. Turning a 250-page novel or a two-and-a-half-hour stage play into a 90-minute film means leaving out much of the original and changing most of what's left. So why does it remain recognisably the same story? What is the slippery essence that transfers, unaltered, from page to screen? 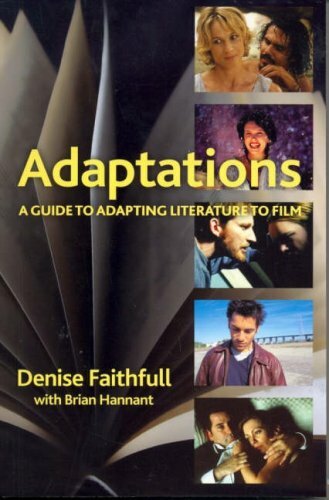 In "Adaptations", Denise Faithfull comprehensively and systematically addresses the thorny issues of choosing your source and type of adaptation, whether a liberal appropriation, a free-flowing intersection, a variation or a faithful translation. She illuminates questions of structure, character, dialogue and visualisation, and includes a checklist for the adaptor.Brian Hannant's introductory chapter discusses the history of Australian film, the basic principles of filmmaking and screenwriting, and a guide to correct screenplay layout. Drawing from dozens of Australian films including "Cosi", "Lantana", "Hotel Sorrento", "The Boys", "Dead Heart", "Death in Brunswick" and "Head On", "Adaptations" navigates the treacherous waters of the adaptation process, showing us what works ...and what doesn't. For anyone who's ever read a novel, seen a play or heard an incredible true story and thought, 'now, that would make a great film', "Adaptations" is the ultimate on how to make it happen.